Home » Expired Contests » Enter our 12 Strong Book/Ticket Giveaway! 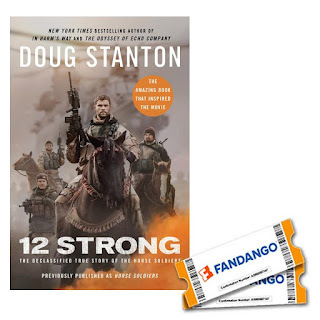 Enter our 12 Strong Book/Ticket Giveaway! 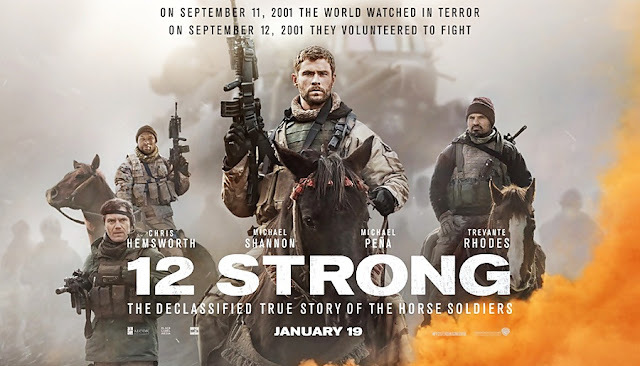 Mind on Movies is very excited to announce that we are working with Warner Bros. Pictures to giveaway 12 Strong: The Declassified True Story of the Horse Soldiers Book and 2 Fandango eGift Cards to see 12 Strong! 12 Strong is in theaters January 19th, 2018. No Purchase Necessary. Only one entry per mailing address per giveaway. The prize will be sent via FedEx or UPS. No P.O. Boxes please. This contest is from Mind on Movies working with Review Wire Media and Warner Bros. Pictures. The entries will be checked. I received information to facilitate my review as well as a promotional item to thank me for my participation.